The Great American Beer Festival is one of the biggest and the best. Over the past 30+ years, beer festival event organizers have put together one amazing gathering of craft beer enthusiasts after another. While one of the key components of the beer festival is a private judging during which brewers compete for top honors among their compatriots from around the country, one of the main draws is the tasting event—which is open to the public. And while the Great American Beer festival has been going strong since the first—tucked into a tiny hotel in Boulder, Colorado more than 36 years ago—it continues to get bigger and better every year. Over the history of the Great American Beer Festival, the event has racked up some truly amazing milestones—milestones that mirror the growth of the craft beer industry within The United States. In 1982, The Great American Beer Festival was born, showcasing just 47 beers. (Now there are commercial breweries out there that offer more varieties than that themselves!) That first year 800 attendees entered the venue and were amazed at the crowd. Just ten years later the festival had already grown exponentially, offering multiple beers from 150 breweries and hosting more than 7,000 visitors. That amazing growth has continued right on through with tickets for the 2014 Great American Beer Festival selling out in just 4 hours! Last year, over 4,000 volunteers poured in more than 60,000 hours to make the 2017 Great American Beer Festival the biggest and the best. Over 60,000 people came and sampled more than 3,900 brews from over 800 breweries. Out of the almost 8,000 beers entered into the private judging event, organizers picked 293 for honors (and bragging rights) in both professional and amateur categories. What Makes The Great American Beer Festival the Best? It’s not all about the beer. Believe it or not, a festival that was born out of the love of beer still has to grow and change and adapt to the times. It still has to add new and exciting things to keep people interested and coming back every year. For example, The Great American Beer Festival intimately tied itself to food (one of Americas other great passions) by creating both the Craft Beer & Food Pavilion and the Paired™ Pavilion, both of which host demonstrations, discussions, and pairings of great food and good beer. The festival also allows attendees to get inside the heads of these brewers who are so zealous for their craft. The Brewers Studio Pavilion is a venue at which home brew enthusiasts can come, listen to (and be inspired by) their industry heroes. Here amateurs can learn tips and tricks from the masters and hear interesting anecdotes about brewing. The Great American Beer Festival has also kept with the digital era, offering their tickets online through mobile-optimized ticketing platforms so folks can book as soon as these prized possessions go on sale. Organizers also created the CraftBeer.com Pavilion in which there are dozens of educational and interactive stations at which beer lovers can learn more about the science and the passion behind brewing in fun and exciting ways (rather than simply reading pamphlets and placards). And then you have The Backyard. This laid-back addition to The Great American Beer Festival is what many people think of when they buy tickets to an event such as this. It’s yard games and karaoke and live music and beer all rolled up into a fun-filled atmosphere that feels like a neighborhood garden party. But people don’t just buy tickets to this annual festival for the live entertainment and amazing food. They come again and again to keep abreast of what’s happening in the beer world. Every year the festival features a theme based on the “it” beers of the season. For example, last year’s beer festival was unofficially entitled “A #HoppyPlace” because it featured so many IPAs and their ilk. There is even a pavilion at which beer enthusiasts can plan beer-oriented travel to cities around the country in order to experience local styles in their home environments for a more authentic experience. With The Great American Beer Festival as an example, your next beer festival can be a success. You don’t have to put in 60,000 hours or drop hundreds of thousands of dollars, but you can (and should) take some lessons from this granddaddy of all beer festivals before you even start selling tickets to yours. Add in food, social components, travel and leisure, live entertainment, and more. You shouldn’t try to make your next outdoor festival everything for everyone but you should build a framework around your central theme so your festival has something to hang its hat on other than just great brews. Paper tickets are a thing of the past. 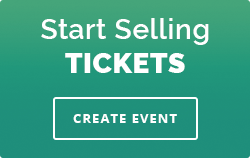 Use an online ticketing platform to promote your event and handle backend logistics like attendance figures. You can also use these handy tools to upsell and create promotional VIP tickets and secret giveaways! You want to remove every obstacle that might keep a potential attendee from coming. Research craft beer trends and plan your brewery list and beer offerings accordingly. Serious beer aficionados (aka Beer Snobs) will know what’s hot and what’s not, so you have to do your research and bring your A Game. 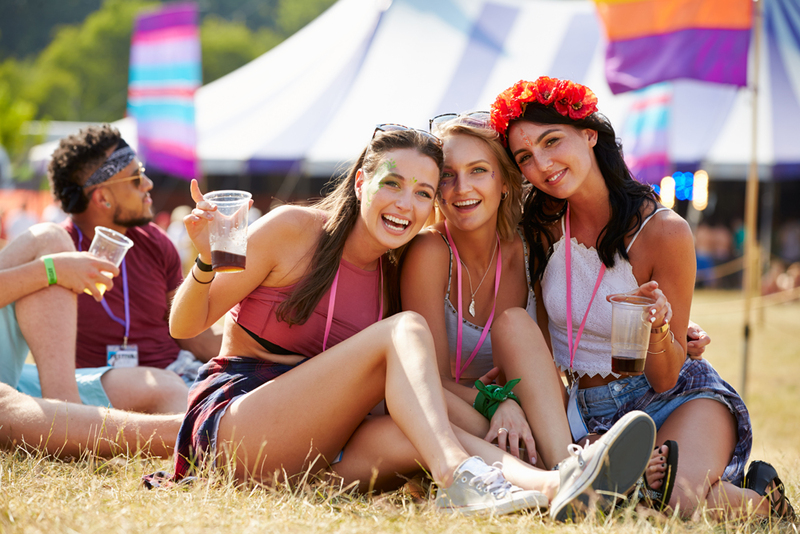 Use smaller year-round events (like pairing sessions and talks by big brewers) as well as an active online presence to keep your festival alive in the hearts and minds of attendees long after the gates have closed. If you can successfully create a culture around your festival, getting dedicated fans to buy tickets when the time comes is almost a given. Don’t get in over your head. Let attendance and interest guide you to the right venue. You don’t want your annual festival to grow so quickly that its bubble bursts. On the other hand, you also have to put the promotional work in to get the numbers you need through the door. Split your time and resources between traditional outlets (radio and television) and modern media (Facebook and Twitter) while creating promotional items like VIP tickets, secret giveaways, and member’s only options. The last piece of advice The Great American Beer Festival has to offer is there can be only one. You shouldn’t try to recreate this epic festival because you don’t have the resources, can’t fool the attendees, and will have a tremendously hard time breaking into their market share. Instead, create a festival that’s unique—unique in venue, in offerings, in geography, in entertainment. When you find your niche, dive deep and give it all you’ve got. And when it comes time to sell tickets to your next festival, let Ticketstripe help you get it done.